The strong advantages of buying locally have been well lauded lately: local jobs for local people (who spend their earnings locally); local warranties and service; accountability and reputation; and building a strong community with a base of necessary products and services. Matt Barrow sees another side of buying locally, and that is the responsibility it places on the local business. View Point opened 18 years ago as a window supplier, and tailored its products and services to meet the demand. Windows are an interesting architectural element requiring strong expertise, as they often aren’t noticed if there is the right product and the correct installation. “We assist architects, builders, and homeowners in making these selections to address functionality and to work with the design finishes both inside and out,” Barrow explains. The meeting in the showroom is critical to selecting the right product, and View Point’s customer service representatives have 150 years combined experience. This experience means they guarantee the best products, service, and the highest value. Since all windows are built to order, when needed, View Point prepares detailed drawings, designs the window packages, orders them from its affiliated manufacturers, and installs. This is true for new construction, replacements, remodels, and additions. Some of the manufacturers they partner with include Sierra Pacific, Loewen, Marvin, Andersen, Milgard, Kawneer, and specialty lines with unique finishes like Architectural Traditions and the Italian Manufacturer Molaro. One of View Point’s key services is retrofitting homes for energy efficiency. “A large part of our business is replacing old windows and doors. Beyond an updated look, new windows offer increased comfort and save energy. The differences with new technology will surprise people,” Matt Barrow says, noting that it is possible to lose 25% of the energy used to heat and cool a home through out dated conventional windows and doors. In contrast to windows, doors are architectural elements that draw attention and add detail to the home’s design inside and out. 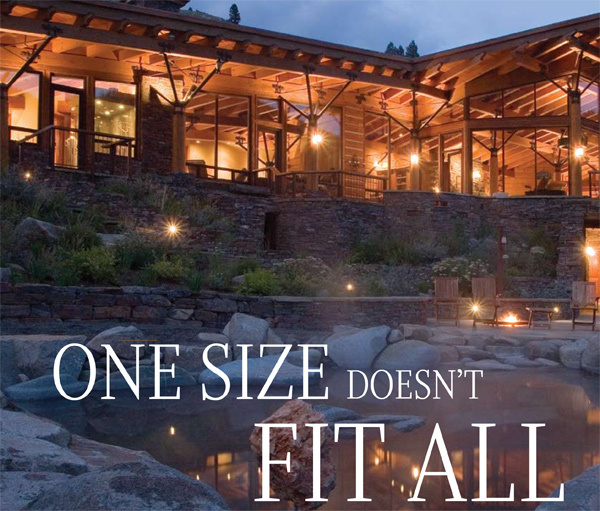 For years, the top architects in the Wood River Valley have turned to View Point to execute their designs for doors to the exterior and connecting doors within the home. The hardware adds the bling, and View Point offers Sun Valley Bronze, Ashley Norton, Baldwin, Architectural Traditions, and EMTEK. The sales associates are deeply familiar with the advantages of each, and willingly walk customers through available choices. View Point welcomes people to their showrooms to view the array of available products and to discuss how they can help you save money while filling your needs.